Many of the great names in jazz, from Jelly Roll Morton to Herbie Hancock, have used the piano to express their artistic talent. 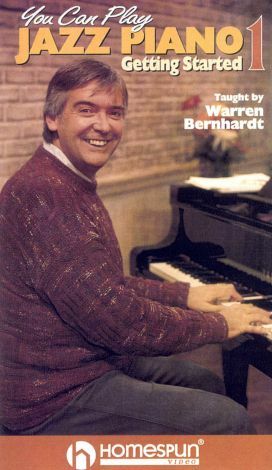 Musician and instructor Warren Bernhardt lends his two hands to assist aspiring pianists who want to travel that musical road themselves. This program is part one of the three-part series that covers all aspects of jazz piano. In this episode, Bernhardt starts beginners at the beginning with the basics, from which all improvisation proceeds.